Discover out-of-the-way places like Hout Bay and Twelve Apostles. And it doesn't end there: get great views at Cape of Good Hope, admire the natural beauty at Kirstenbosch National Botanical Garden, kick back and relax at Boulders Beach, and explore and take pictures at Robben Island. To find photos, other places to visit, and other tourist information, refer to the Cape Town trip itinerary website . Sydney, Australia to Cape Town is an approximately 18-hour flight. Traveling from Sydney to Cape Town, you'll gain 8 hours due to the time zone difference. Expect slightly colder evenings in Cape Town when traveling from Sydney in November, with lows around 16°C. Finish up your sightseeing early on the 14th (Wed) so you can travel to Plettenberg Bay. 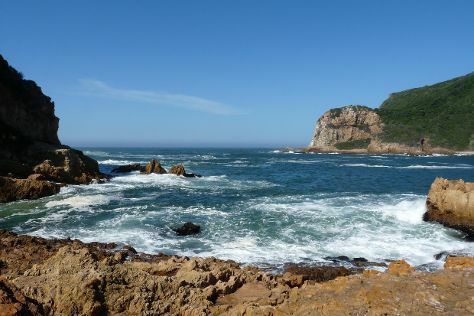 Eschew the tourist crowds and head to Knysna Heads and Birds of Eden. Venture out of the city with trips to Knysna (Garden Route (Tsitsikamma, Knysna, Wilderness) National Park & Holy Trinity Church). Next up on the itinerary: stroll through Robberg Nature Reserve, pick up some local products at Harkerville Saturday Village Market, and explore the activities along Knysna Lagoon. For other places to visit, maps, traveler tips, and other tourist information, you can read our Plettenberg Bay trip maker website . Fly from Cape Town to Plettenberg Bay in 3 hours. Alternatively, you can do a combination of flight and bus; or drive. Expect little chillier weather when traveling from Cape Town in November: highs in Plettenberg Bay hover around 24°C, while lows dip to 16°C. Finish your sightseeing early on the 17th (Sat) so you can travel to Victoria Falls. Victoria Falls, a Zimbabwean town near the eponymous waterfall, serves as one of two prime gateway points to the majestic cascade and its surrounding national park. Eschew the tourist crowds and head to Safaris and River Rafting & Tubing. And it doesn't end there: explore the striking landscape of Mosi-oa-Tunya / Victoria Falls National Park, kick your exploration up a notch at some of the top local zipline courses and adventure parks, and take in the views from Victoria Falls Bridge. For maps, ratings, reviews, and more tourist information, read our Victoria Falls day trip site . You can fly from Plettenberg Bay to Victoria Falls in 5.5 hours. Other options are to do a combination of bus and flight; or drive. In November, Victoria Falls is a bit warmer than Plettenberg Bay - with highs of 38°C and lows of 22°C. Wrap up your sightseeing on the 20th (Tue) to allow time to travel to Marrakech. You won't run out of things to do in Marrakech, a city where you can spend days exploring grandiose palaces and mosques, photogenic gardens, sacred tombs, and traditional mansions that evoke a bygone era. Marrakech is known for parks, shopping, historic sites, spas, and museums. Your plan includes some of its best attractions: take in nature's colorful creations at Jardin Majorelle, explore the different monuments and memorials at Saadian Tombs, enjoy unforgettable views with a balloon tour, and soothe aching muscles at some of the top local wellness centers. To find more things to do, reviews, photos, and other tourist information, you can read our Marrakech day trip planning app . Getting from Victoria Falls to Marrakech by flight takes about 21.5 hours. Other options: do a combination of car and flight; or do a combination of flight and train. Traveling from Victoria Falls to Marrakech, you'll gain 2 hours due to the time zone difference. Plan for little chillier temperatures traveling from Victoria Falls in November, with highs in Marrakech at 26°C and lows at 12°C. Cap off your sightseeing on the 24th (Sat) early enough to go by car to Essaouira. The laidback town of Essaouira, known for its forceful trade winds, attracts Moroccan and foreign tourists alike with its sweeping beaches and atmospheric, labyrinthine medina, a World Heritage Site. Start off your visit on the 25th (Sun): trot along with a tour on horseback, make a trip to Galerie d'Art Damgaard, then look for gifts at Cooperative Tamounte, then take a leisurely stroll along Port de Pêche d'Essaouira, and finally make a trip to Essaouira Ramparts. To see other places to visit, maps, and tourist information, go to the Essaouira trip planner . You can drive from Marrakech to Essaouira in 2.5 hours. Alternatively, you can take a bus. Expect a daytime high around 24°C in November, and nighttime lows around 15°C. Cap off your sightseeing on the 25th (Sun) early enough to travel to Sharm El Sheikh. Eschew the tourist crowds and head to Blue Hole and Ras Um Sid. Take a break from Sharm El Sheikh with a short trip to Mount Sinai in Saint Catherine, about 1h 25 min away. Spend the 29th (Thu) among aquatic life with a scuba or snorkeling tour. There's still lots to do: enjoy the sand and surf at Shark's Bay Beach, pick up a one of a kind souvenir at St Catherine Shop, take in the spiritual surroundings of Coptic Orthodox Church, and get a new perspective on things with Boat Tours & Water Sports. Plan trip to Sharm El Sheikh with our itinerary maker to find out where to go and what to do. Traveling by flight from Essaouira to Sharm El Sheikh takes 13 hours. Alternatively, you can do a combination of flight and bus; or do a combination of flight and ferry. The time zone difference moving from Western European Time (WET) to Eastern European Time (EET) is 2 hours. Prepare for a bit warmer weather when traveling from Essaouira in November: high temperatures in Sharm El Sheikh hover around 34°C and lows are around 24°C. Cap off your sightseeing on the 29th (Thu) early enough to travel to Hurghada. Originally a small fishing town on the Red Sea coast, Hurghada developed into Egypt's premier beach destination thanks to its year-round sunny weather and world-class dive sites. Eschew the tourist crowds and head to Swim with Dolphins and Habiba Horse. And it doesn't end there: take in the waterfront activity at Hurghada Marina, pause for some serene contemplation at Coptic Cathedral of Saint Shenouda, head off the coast to Mahmya Island, and get lost in a book at Bibliotheca Alexandrina El Gouna. To see reviews, where to stay, photos, and more tourist information, refer to the Hurghada online road trip planner . Traveling by combination of flight and bus from Sharm El Sheikh to Hurghada takes 1.5 hours. Alternatively, you can ride a ferry; or drive. In November, daytime highs in Hurghada are 34°C, while nighttime lows are 21°C. 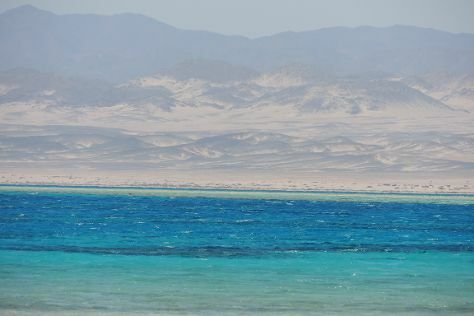 Cap off your sightseeing on the 2nd (Sun) early enough to go by car to Marsa Alam. The opening of an international airport and subsequent development of hotels and resorts boosted tourism in Marsa Alam, a town on Egypt's Red Sea coast known for its world-class diving spots. Explore hidden gems such as Sharm El Luli and Elphinstone Reef. Spend the 5th (Wed) among aquatic life with a scuba or snorkeling tour. 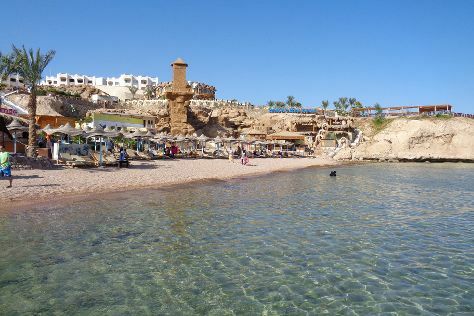 The adventure continues: enjoy the sand and surf at Marsa Mubarak, tour the pleasant surroundings at Marsa Shoona Bay, get engrossed in the history at Astronomy Center, and don't miss a visit to Shaab Marsa Alam. To see where to stay, more things to do, traveler tips, and tourist information, use the Marsa Alam journey site . Traveling by car from Hurghada to Marsa Alam takes 4 hours. Alternatively, you can do a combination of flight and taxi; or take a bus. Expect a daytime high around 26°C in December, and nighttime lows around 18°C. 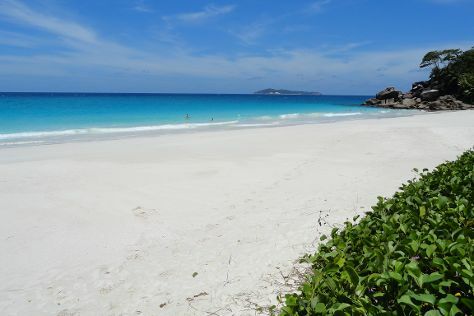 On the 6th (Thu), wrap the sightseeing up by early afternoon so you can travel to Praslin Island. Home to some of the Seychelles' finest beaches, Praslin Island offers visitors more than just sand and sea. Start off your visit on the 7th (Fri): enjoy the sand and surf at Anse Georgette and then delve into the lush surroundings at Vallee de Mai Nature Reserve. Get ready for a full day of sightseeing on the next day: step off the mainland to explore Curieuse Island. For more things to do, other places to visit, where to stay, and tourist information, use the Praslin Island day trip planner . You can do a combination of taxi and flight from Marsa Alam to Praslin Island in 18 hours. Another option is to do a combination of car and flight. You'll lose 2 hours traveling from Marsa Alam to Praslin Island due to the time zone difference. Expect somewhat warmer temperatures when traveling from Marsa Alam in December; daily highs in Praslin Island reach 36°C and lows reach 28°C. Finish up your sightseeing early on the 8th (Sat) so you can travel to Chamarel. Start off your visit on the 9th (Sun): admire the sheer force of Chamarel Waterfall, then examine the collection at Curious Corner of Chamarel, and then explore the striking landscape at Le Morne Brabant. For maps, reviews, traveler tips, and tourist information, refer to the Chamarel online tour planner . Getting from Praslin Island to Chamarel by combination of flight and car takes about 5 hours. Other options: do a combination of ferry, car, and flight. In December in Chamarel, expect temperatures between 34°C during the day and 27°C at night. Finish your sightseeing early on the 9th (Sun) so you can travel back home.